Looking for the best blender for hot liquids? We've rounded up 9 options that you can use no matter what kind of budget you have. From counter-top size, to personal blenders and even immersion style. Why Are These Blenders Great for Hot Liquids? This blender is perfect for blending anything from frozen smoothies to hot coffee and soup. The BPA free jar is durable enough to withstand temperature swings without cracking or being damaged, and you can not only blend hot liquids in this blender, but also heat up soup, if you desire. Thanks to the complete seal that the santoprene rubber lid makes, there isn’t any concern of hot liquids splashing out of the blender and burning you while you use it. 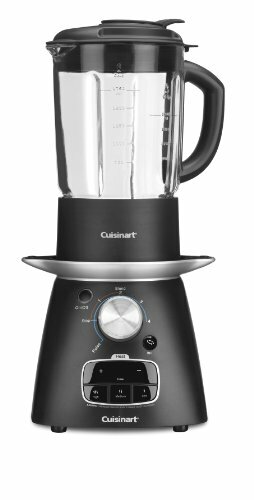 Unlike other types of blenders that can handle hot liquids and foods without being damaged, this blender was made for hot soups. There are three temperature settings that you can choose from so you can easily heat up your soup without any problems. 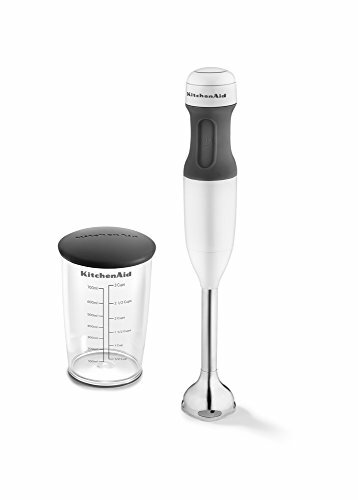 Rely on the pulse function, four speeds, and stirring to help blend your liquid to the right consistency. Thanks to the included heavy duty cleaning brush, you won’t have to worry about any liquid being left behind and drying inside the blender. 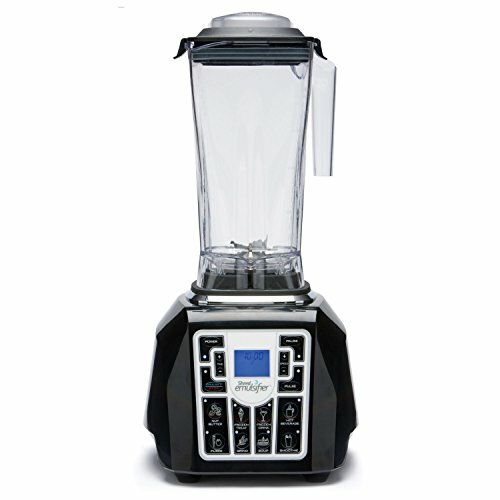 You’ll be able to easily find the perfect blending speed for the liquid you are working with when you buy this blender. With 12 different speed settings to choose from, it’s easy to see how quickly you can blend anything in it. 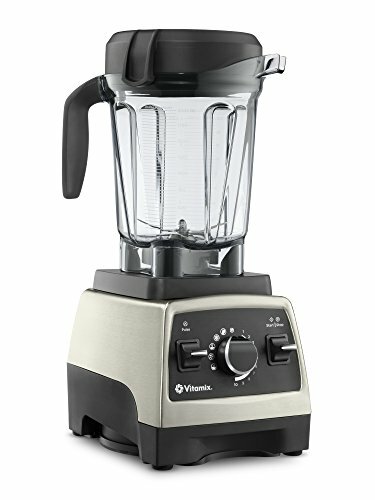 At seven pounds, this blender is heavy enough so that it won’t move across the counter when it is in use, but it is light enough for most people to be able to easily lift without a lot of trouble. 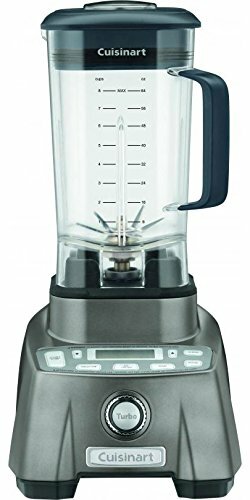 Not only will you love the incredibly sharp blades on this blender, but you’re also sure to appreciate that it can handle the hottest liquids without being damaged, cracking, or putting you at risk of being injured. Thanks to the tight seals and the durable blending jar, this blender can handle incredibly hot liquids without any problem. The included presets on the blender make it easy to turn it on and walk away so that you don’t have to stand by it and monitor how well it is working. 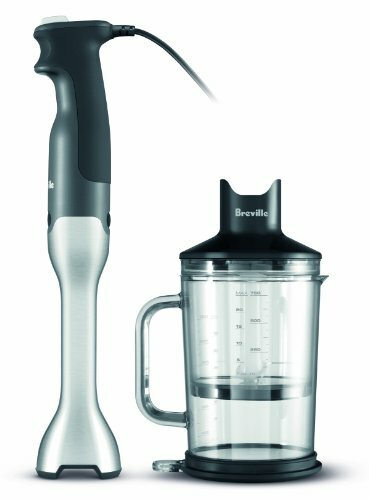 You won’t have to worry about the temperature of liquids you are blending when you opt for this hand blender from Breville. Its ergonomic design makes it easy to hold for long periods of time. Not only can the blender be used directly in a pot or bowl to blend hot liquids, but it also comes with an extra-large jug for this use, as well. This jug is able to easily hold hot liquids without being damaged, cracking, or warping. This is a professional blender that is perfect for the home cook who wants to be able to blend anything in the kitchen without worrying about its size, temperature, or how tough it is. 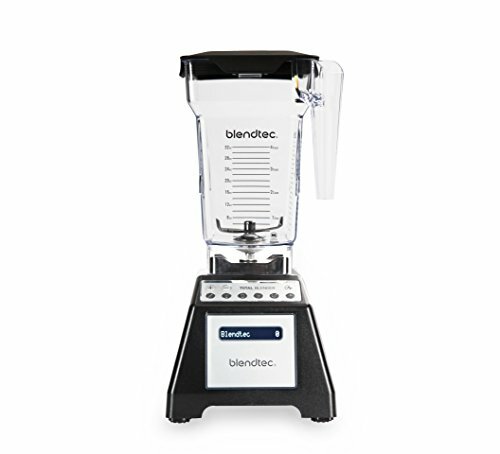 Because the jar on this Blendtec blender is specifically designed to handle very hot and very cold foods, you won’t have to worry about it cracking or breaking, no matter what hot liquids you want to blend. 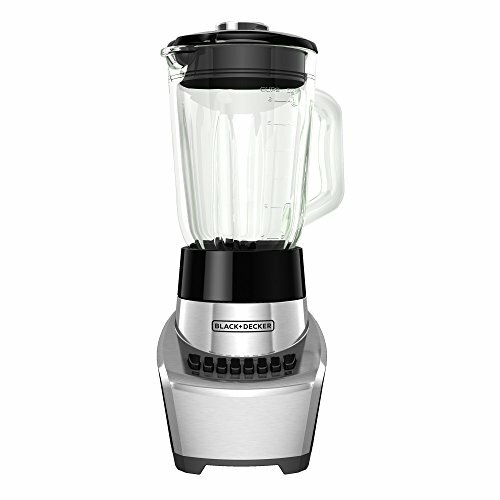 This powerful blender comes equipped with a 64-ounce plastic jar. The jar is BPA free and has a very soft handle that makes lifting and pouring hot liquids easy and reduces the fear of burning yourself. Thanks to the LCD display you will be able to easily see the countdown time for your blender as well as adjust the time, if necessary. 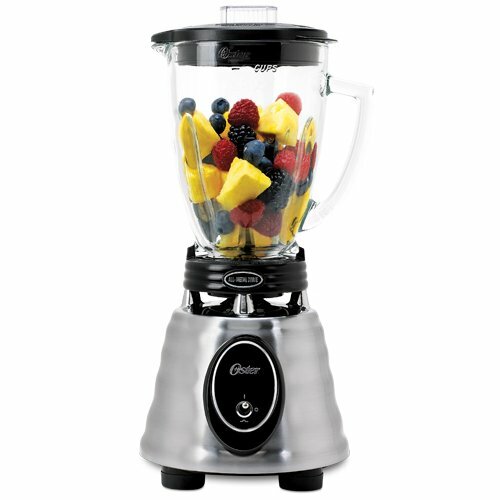 This Oster blender has a glass jar that won’t stain or collect a bad odor, no matter what you are blending. The glass has been specifically designed to withstand the high temperatures of hot liquids so it won’t crack, warp, or break. All jars are thermal shock tested, which means that you can switch from hot liquids to cold beverages without waiting for the glass to come to room temperature. Additionally, when you are done blending, the glass jar can be put in the dishwasher for a fast and easy cleanup.